Blockchain Problems-Decentralization is one of the buzzwords of blockchain technology: companies and web sites have sprung up that include this word as part of their name. Decentralization has been touted as a most advanced feature in fintech. The acronym DLT (Decentralized Ledger Technology) has become a synonym for blockchain in the fintech permissioned environment. Few realize that decentralization is itself the problem, and has kept blockchain technology stalled for many years. In the 1960s, computer systems were centralized, or configured as a star network. Only in the early 1970s did the need to connect computers from multiple manufacturers become urgent. 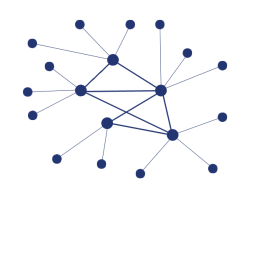 At the time, the nodes of the few existing communication networks were typically organized hierarchically, but from the very beginning the protocols implemented in the nodes of the ARPA, RPCNET, PISA and other groundbreaker networks preceding the internet were designed with the general idea that no central node or authority should control, lead, be the center of, or own the network. In other words, we knew that a centralized, star, multi-tier network, with its innate bottlenecks, was not going to satisfy even the 1970’s requirements of thousands of users. We also guessed that by reducing the number of bottlenecks through decentralization the problem would be reduced, but not solved. We knew that a solution would have to use a distributed, peer-to-peer model. Since many organizations would be involved in the provision of nodes, links, and possibly-unreliable hardware and software, we had to assume that the network was unreliable. We did not know how a consistent set of data, or even a single transaction, could be maintained in multiple databases through an unreliable network when any node could generate a message or, in fintech terminology, a financial transaction. The problem was further compounded by the presence of deliberately malicious players. The post Decentralization: The Big Problem For Blockchain appeared first on erpinnews.